Jamaica’s Tourism Minister, Hon. 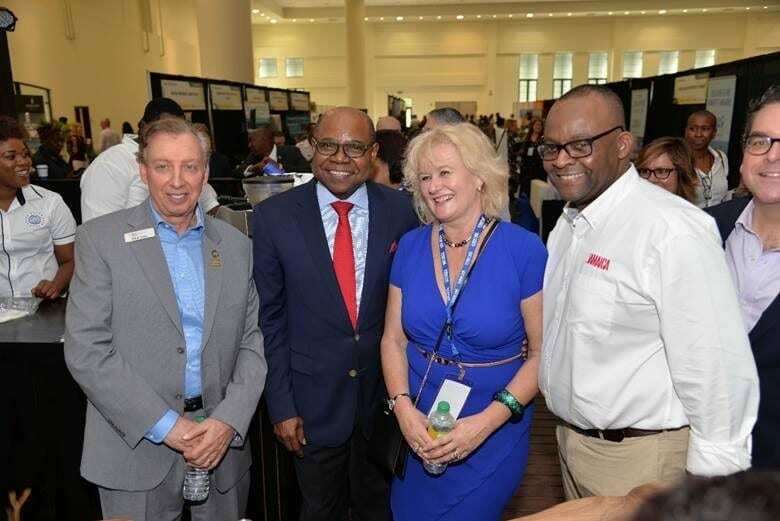 Edmund Bartlett walked the trade floor of Caribbean Travel Marketplace yesterday and interacted with some of the 140 buyers attending the event. Joining Minister Bartlett on the walk was CEO of the Caribbean Hotel and Tourist Association (CHTA) Frank Comito, Daniela Wagner, Head of International Partnerships, Jacobs Media Group and Donovan White, Director of Tourism, Jamaica Tourist Board. The Caribbean Travel Marketplace is the Caribbean’s largest marketing event, starting January 29 through to January 31, in Montego Bay. The event is produced by the CHTA and brings together several key industry stakeholders and members of the media for several days of business meetings, including a busy program of thousands of pre-scheduled appointments. For this year’s staging, the Jamaica Hotel and Tourist Association and Jamaica Tourist Board were integral in coordinating the event with the CHTA.